You buy. We donate. Wild water benefits. For every ARC fly line sold in our online shop, we’ll give $10 to one of the angling conservation nonprofits near and dear to our family, and yours. Even better, you get to decide where the $10 donation goes. Buy great things. Help do great things. Take a closer look at each of the five incredible organizations we’re all supporting, then head on over to our online shop and purchase product that gives back. The American Fly Fishing Trade Association (AFFTA), the fly fishing industry’s national trade association, established the Fisheries Fund in late 2014 with the main objective of funding organizations and projects focused on fisheries conservation and education. The Fisheries Fund is initially funded with revenue from the industry’s annual trade show, and is now open to donations from AFFTA members and the general public. Learn more about the AFFTA Fisheries Fund and Shop Now to donate to the organization. BTT is a group of concerned anglers, lodges, fishing guides and other stakeholders working with scientists to to conserve and enhance global bonefish, tarpon and permit fisheries and their environments through stewardship, research, education and advocacy. It was formed in 1998 by a group of anglers, guides, and scientists in the Florida Keys who wanted to learn more about bonefish and tarpon in order to enhance their dwindling populations. Since then it has grown to include concerned anglers from over 20 countries, researchers from throughout the world, and guides committed to working with BTT in order to educate anglers and gather data while on the water. 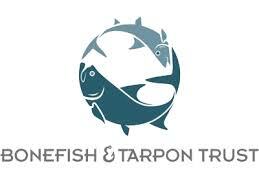 Learn more about the Bonefish & Tarpon Trust and Shop Now to donate to the organization. The purpose of CCA is to advise and educate the public on conservation of marine resources. The objective of CCA is to conserve, promote, and enhance the present and future availability of those coastal resources for the benefit and enjoyment of the general public. On a local, state and national level we, initiate scientific studies, fund marine-science scholarships, build artificial reefs, create finfish hatcheries, monitor the quality and quantity of freshwater inflows, support local marine law enforcement, help establish game fish status for recreational species and work to prohibit destructive commercial gear. On a federal level we defend net bans, work to implement by catch reduction regulations, support pro-fisheries legislation and battle arbitrary no-fishing zones. 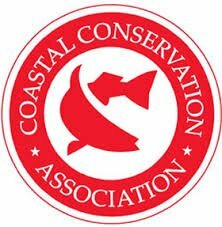 Learn more about the Coastal Conservation Association and Shop Now to donate to the organization. Founded in Michigan in 1959, Trout Unlimited today is a national non-profit organization with 150,000 members dedicated to conserving, protecting and restoring North America’s cold water fisheries and their watersheds. Our staff and volunteers work from coast to coast to protect, reconnect, restore and sustain trout and salmon habitat on behalf of today’s anglers and coming generations of sportsmen and women who value the connection between healthy, intact habitat and angling opportunity. Learn more about Trout Unlimited and Shop Now to donate to the organization. Western Rivers Conservancy protects outstanding river ecosystems throughout the western United States using land acquisition. It buys prime river lands along our finest streams to conserve critical habitat and provide public access for all to enjoy. WRC has created sanctuaries for fish and wildlife and improved access along the Yampa, Hoh, Salmon, John Day, Madison, Skagit, Klamath, Eel, Smith, the Bear and dozens of others. It is the only organization dedicated exclusively to saving rivers through land acquisition. It’s a tool that effective, tangible and permanent. Learn more about the Western Rivers Conservancy and Shop Now to donate to the organization.